All in all, inflammation is a good thing. It’s a natural part of the body’s immune response which serves to protect and heal during injury and illness. Think of how a cut finger becomes pink and swollen, that’s the body warding off pathogens through acute inflammation. Most of us, however, think of or experience inflammation as a problematic health concern. That’s because the overriding dietary and lifestyle choices of the western world promote chronic inflammation. This type of inflammation occurs when the body’s inflammatory response is never turned off, and the immune system consistently remains more active than it should. If this activity is left alone, chronic inflammation will eventually damage healthy tissue throughout the body. These damaging effects can become serious by causing digestive disorders and turning into cancer, heart disease, Rheumatoid Arthritis and MS. There is also evidence to implicate chronic inflammation in incidences of stroke and Alzheimer’s Disease. The bad news is that chronic inflammation is difficult to detect, that is until the life-altering diagnosis of chronic disease comes in. Fatigue, skin problems, digestive distress and joint pain are symptoms of chronic inflammation, but don’t wait around for these vague signs to start taking preventative measures. Thankfully, there are several simple lifestyle and dietary choices you can make which can have a big impact in preventing and reversing chronic inflammation. Whole grains are an anti-inflammatory food which provide the perfect synthesis of nutrients for fueling and nourishing the body. Refined whole grains (e.g., white flour and white rice) and processed whole grain food products (e.g., whole grain crackers, whole grain bread, whole grain pasta) are denatured foods that induce inflammatory responses within the body. That’s not to say you should never take another bite of bread! But starting today, make whole grains in their whole form your priority. It’s as simple as boiling a pot of brown rice for dinner instead of a pot of pasta. Want to know more about the different types of whole grains and how to eat them? 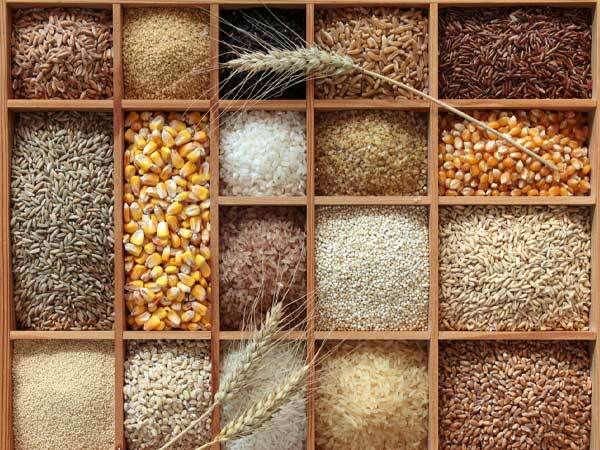 Have a look at my Guide to Whole Grains for this info and details about their nutrition and how to properly handle them. 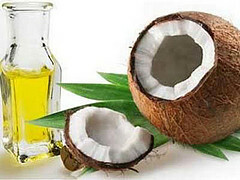 Avoid the vegetable oils favored by the food industry: corn, safflower, sunflower, cottonseed, grapeseed and soy. 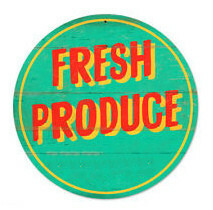 An easy way to do this is to bypass all processed foods today. Eat Omega 3-rich foods. 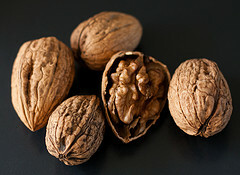 Walnuts, flax seeds, chia seeds, seaweed, sustainable seafood and pasture-raised/grass-fed animal protein (i.e., meat, dairy and eggs) are all good sources of Omega-3 fats. In need of some simple Omega 3-rich recipes? Miso Soup with sea vegetables: Look for arame, dulse or hijiki. Simmer them in the soup along with the other vegetables. Have a look at my post, Is the fish on your plate safe to eat?, for more information about sourcing sustainable, healthy seafood. Deep breathing: Sometimes just closing your eyes, sitting still and taking a few deep breaths (the kind that completely fill and expand your lungs before completely emptying them) can make all the difference in the world. Yoga: It doesn’t have to be a long complicated practice when just a few simple stretches can make you feel better. Exercise. Whatever you like: jogging, walking, sports, a long yoga practice, cycling…Any healthy exercise routine will combat inflammation and stress. Massage: Can you book yourself in today? Great! If not, self-massage or the willing hands of a friend/relative/partner can do wonders in releasing pent-up tension. All poor-quality fats, not just the oils high in Omega-6 FAs listed in #2, contribute to chronic inflammation. Make a point to swap out refined, chemically-processed fats for healing ones. Vegetable greens, especially the dark-leafy variety, do wonders in soothing chronic inflammation. These foods are rich in magnesium, a nutrient which is often missing in people with high inflammatory markers in their bloodstream and people afflicted with chronic disease. 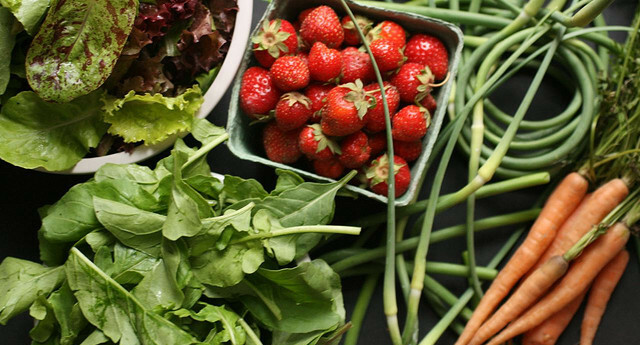 Why not fit in an extra serving or two of green vegetables today beyond what you normally get? You have so many options: broccoli, Brussels sprouts, bok choy, spinach, cabbage (any type), arugula/rocket, kale, salad leaves, dandelion leaves, mustard greens, collard greens, turnip greens, beetroot greens, swiss chard, radish leaves…And I have even better news for you, the nutrients in these green vegetables are fat-soluble meaning they’re best assimilated by the body in the presence of fat. Want to make that broccoli even healthier? Pair it with one of the anti-inflammatory fats listed in #4 before eating. Sleep deprivation triggers chronic inflammation and stress which in turn suppress the immune system (funny how these things are all connected). I realize a full night’s rest isn’t within everyone’s reach. But if you do have the option of giving yourself about 8 hours in bed, take advantage of it. If it’s trouble with falling and/or staying asleep that’s keeping you awake, have a look at my post on how to Eat for Better Sleep. Turmeric is a spice which has been shown to contain more than 2 dozen anti-inflammatory compounds. These help protect against and treat several diseases linked to inflammation including arthritis, cancer and Alzheimer’s. For more about turmeric and for ideas on how to cook with it, have a look at my post about this flavorful, healing spice. 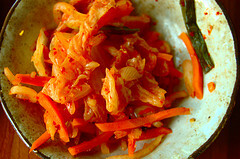 Eat raw fermented vegetables like sauerkraut and kimchi (pictured)…store-bought raw fermentations can be pricey, but making your own is simple and inexpensive. It does take a few weeks to ferment, consider it an investment in the future wellbeing of your gut. Eat a portion of yogurt or kefir made from pasture-raised milk. Make sure the label of the yogurt indicates it “contains live culture” as opposed to “made with live cultures”. The former means the good bacteria is still alive while the latter indicates they have been heated and killed. Don’t fret if each of these 8 goals isn’t achievable today. Choose one that is, then repeat it everyday for a week until it becomes habit. The following week choose a different improvement from the list to integrate into your lifestyle. At this rate, within 2 months you’ll be well on your way to protecting yourself against chronic inflammation.